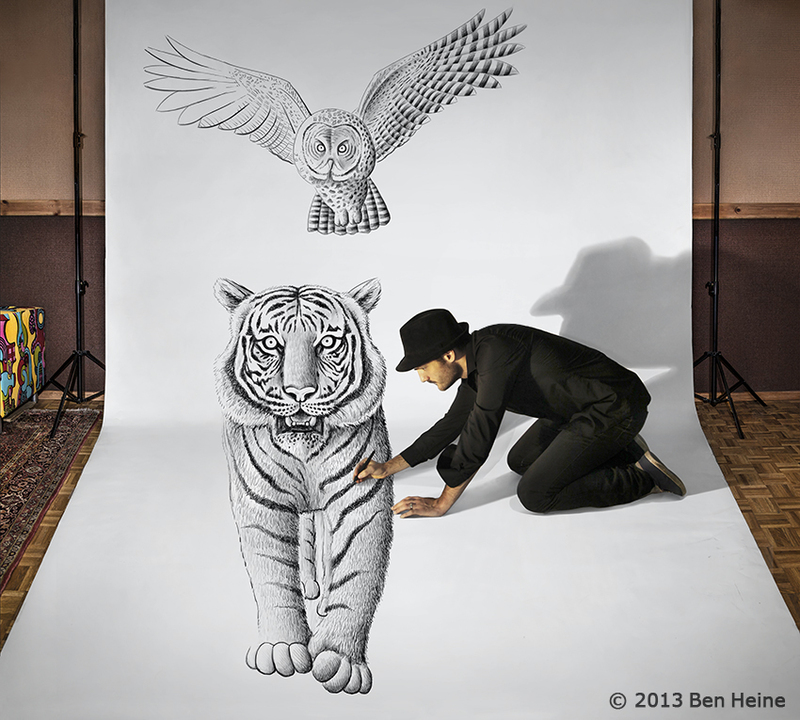 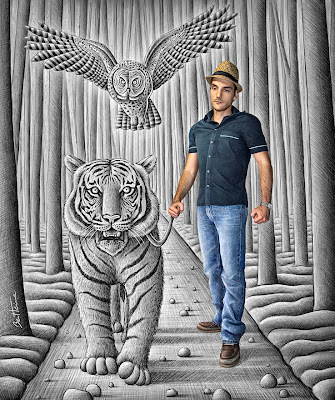 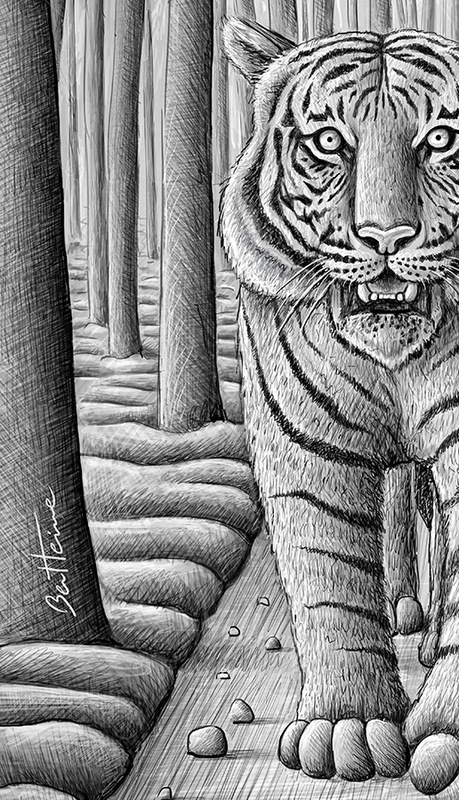 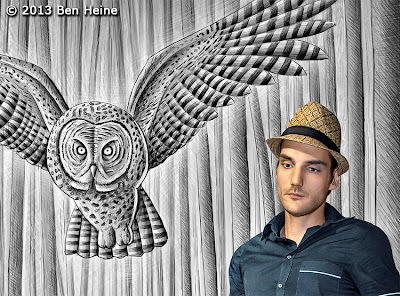 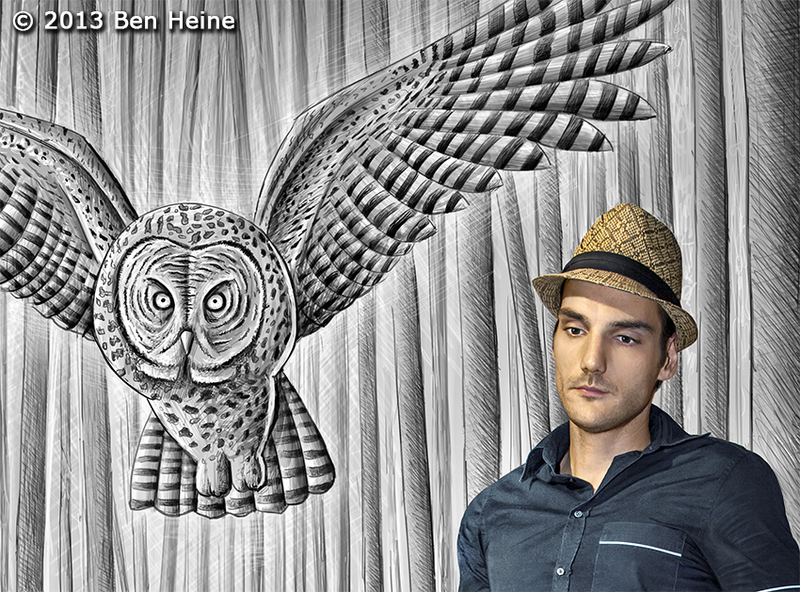 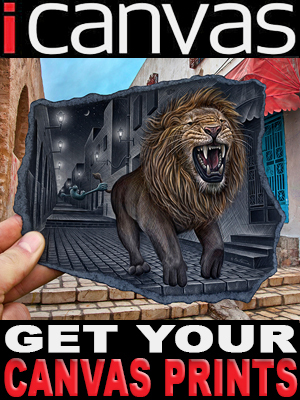 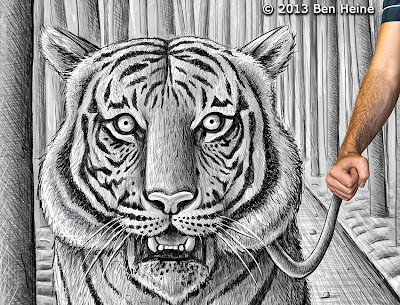 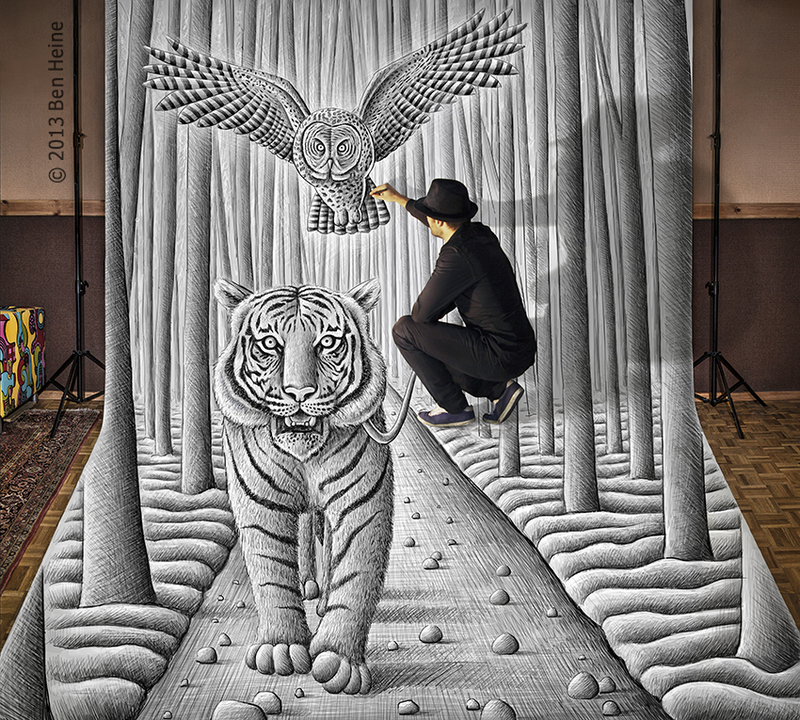 My new giant 3D drawing featuring a tiger and an owl in a dense forest. 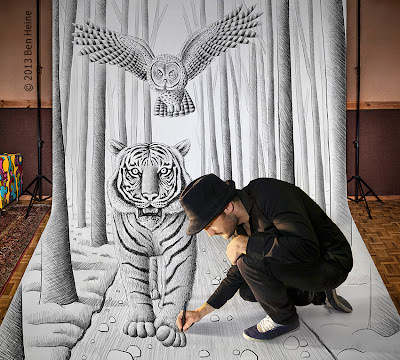 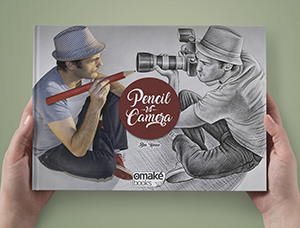 It is part of my "Pencil Vs Camera" series (the concept is reversed in this image, the only piece of reality in the composition being the human model...). 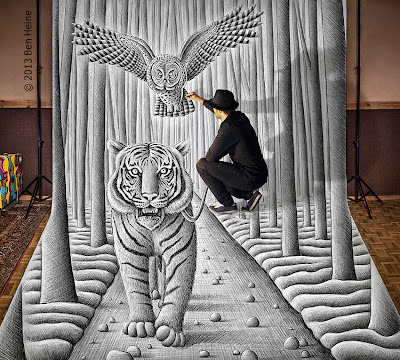 The wild animals and the forest are actually anamorphic sketches drawn on a huge piece of paper in my studio, no more, no less than optical illusions. 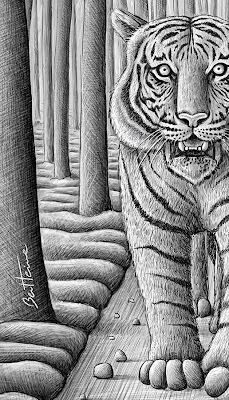 A quiet tiger, a scary owl and an imprudent artist, maybe an unexpected trio. 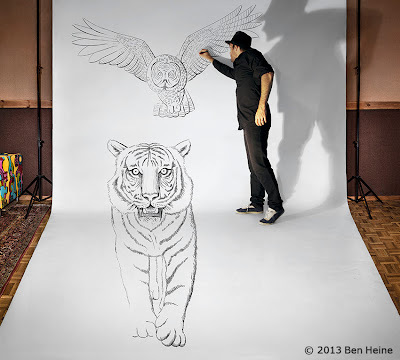 I took the photo (using a tripod and a self timer) and also made the giant sketch (handmade, as usual). 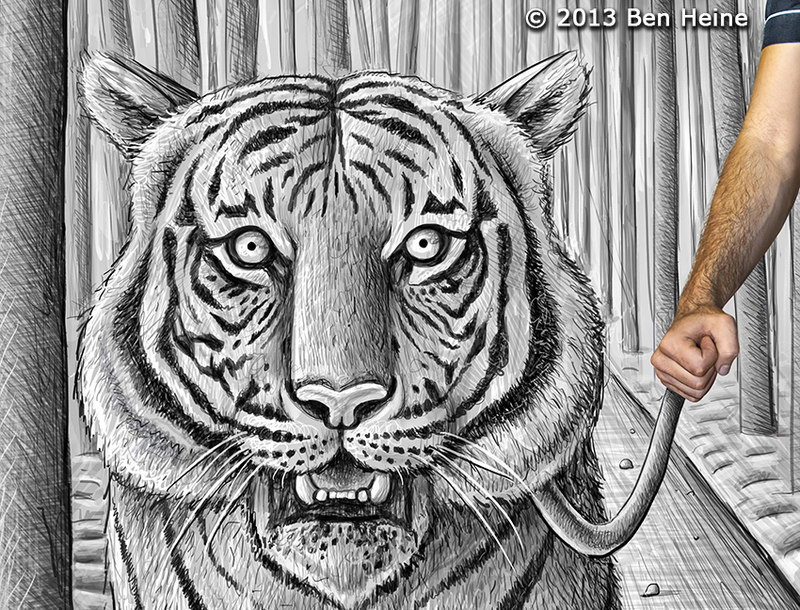 View the sketch in progress and some details here below to understand how it is made. 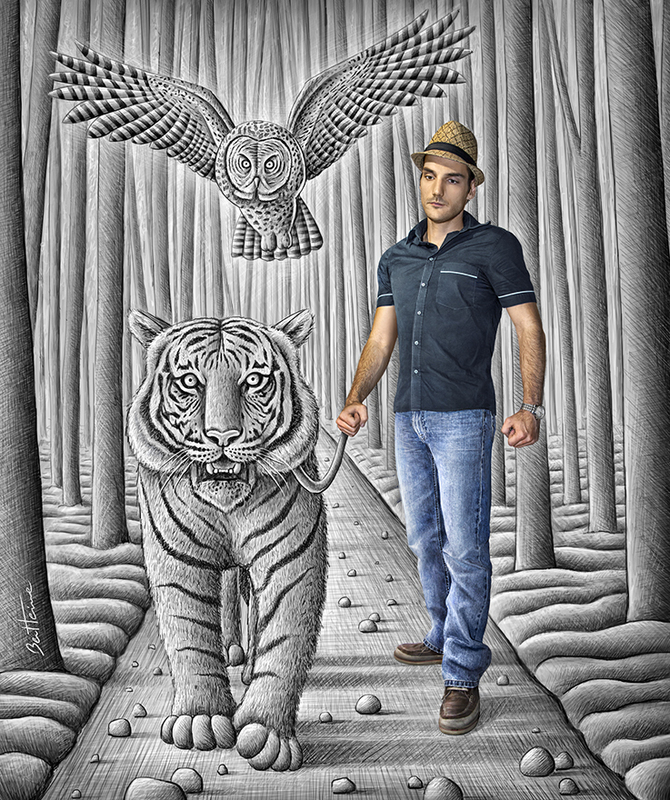 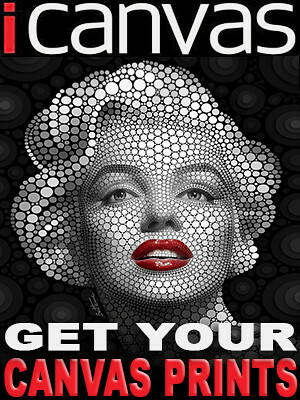 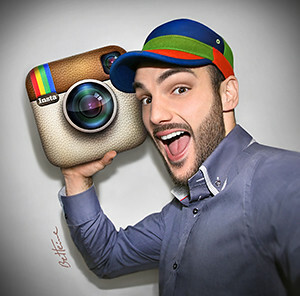 New: find some prints of mine for sale (including the above picture) or some fun products and gifts with many of my other designs.